Jackie Lavail Hornsby, age 79, of Ft. Myers, passed away on Wednesday, January 16 after a lengthly hospital stay. Jackie was born on November 19, 1939 in Arab, Alabama. 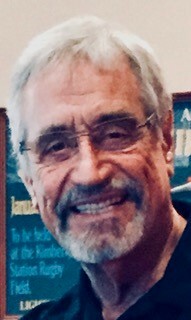 He is survived by his wife of 56 years Charlotte Hornsby, their three children, Jana Bailey(Glenn), Jeff Hornsby(Tammy), and Jill Swanson(Duane), five grandchildren Weston, Paolo, Cooper, Carson and Chandler and his loving sister, Katie Woodward and his three nephews, Sam, Doug and Jared. Jackie and Charlotte met while attending the University of Alabama. After graduating, they moved to Marietta, Georgia where he taught school for two years before beginning a career in U.S. Public Health which brought him to Ft. Myers. Here he became Lee County Division Director. After many years of developing a love and knowledge of animals, Jackie was led into a private business where the family was privileged to raise many exotic birds and animals. He traveled the world to observe and appreciate animals in their natural habitat. Jackie was also an avid snook fisherman. Living on Whiskey Creek for 52 years, he studied the snook’s habits and could spot one “a mile away”. He knew just which artificial lure to use when and where, and enjoyed his fishing times with his family and dear friends. Being an alumni of the University Of Alabama, Jackie was without a doubt, one of the biggest Bama Football Fans ever! He is probably yelling “Roll Tide” and updating Bear Bryant on the legacy he started. A celebration of life will be planned for a later date where his ashes will be scattered in Whiskey Creek per his wishes.